Wondwesen Ayele Tefera's father died, and his mother is deaf and dumb and unable to support him. He lives with his grandmother. His birthday is October 29, 2013, and he is in the 1st grade. We hope to provide sustainable support for these young children born into the most desperate conditions. 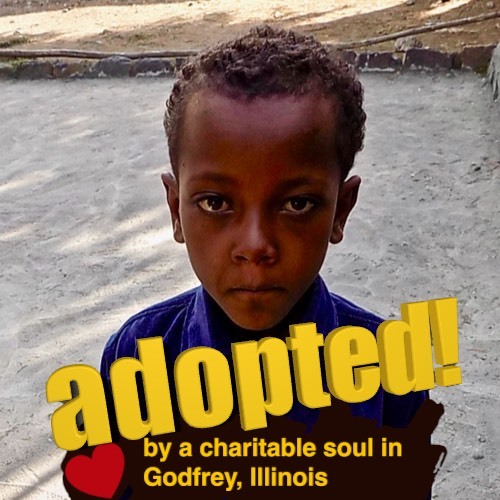 By choosing this child for adoption, you will be billed for the first month of a monthly donation of $40. This money (with your adopted child's name) will immediately be available to our Ethiopian charity organization in Addis Ababa, Ethiopia. They will purchase some basic necessities and clean clothing for your adopted child within a week, and this will be delivered to the child within two to three weeks after adoption. 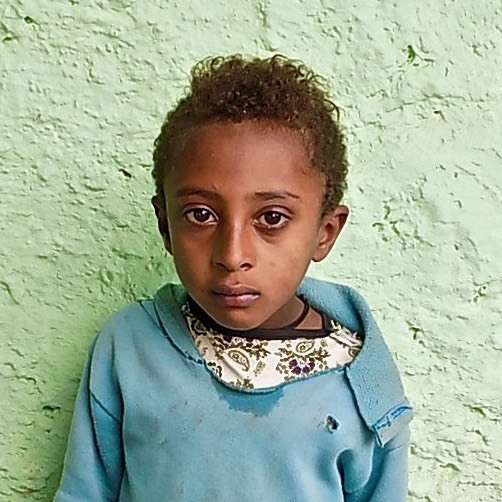 The children identified in this particular project are in remote villages, far from the capital city of Addis Ababa. We hope to present this we care package directly to the child, take a picture and confirm the adoption within four weeks. Approximately three to four weeks after your initial payment, we will email you a note of appreciation. We will include this picture and request you go to the auto-billing webpage that will allow us to draw $40 from your account each month until you cancel or the child graduates from our program. You will hear from your child at least twice a year. Aserese is 10 years old and lives with his aunt. 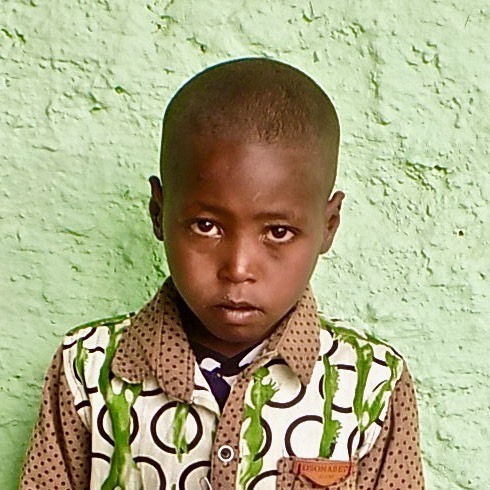 Ayetnfesu is 8 years old and lives with his mother. 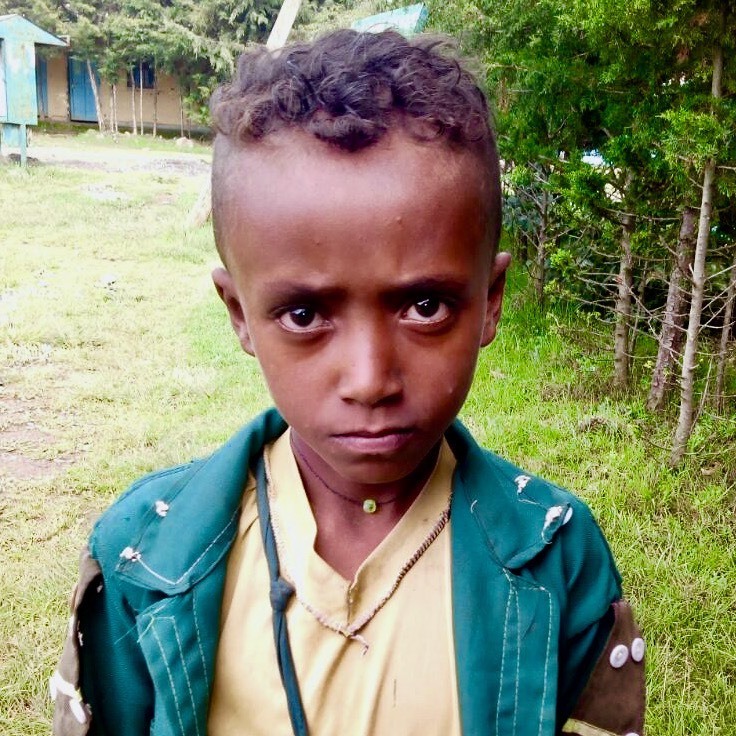 Lema is 9 years old and lives with his grandmother. Bekalu is 8 years old and lives with his sister.